Imagine Bali without the hustle and bustle of tourists and without the annoying traffic. Add relatively empty white sand beaches, a turquoise sea, and arid, rounded mountains as the background. Now switch the restaurants for small warungs (food stands, in Indonesian). This is Kuta Lombok. The island of Lombok, in Nusa Tenggara, lies on the eastern side of Bali and is separated from it by a water channel that is no more than 40 kilometers wide. It is, according to local reports, how Bali was a few years ago, before going through the changes that mass tourism has brought. And while the more sophisticated hotels (which are so common on nearby Island of the Gods) are more concentrated in the western region of Lombok - in Senggigi - the pure life of Kuta, in the south of the island, still maintains the peace of yesteryear. Pantai Tanjung Aan is one of those destinations that usually appears as computer screensavers and in airline magazines to lure you to the destination (that's how I found it). 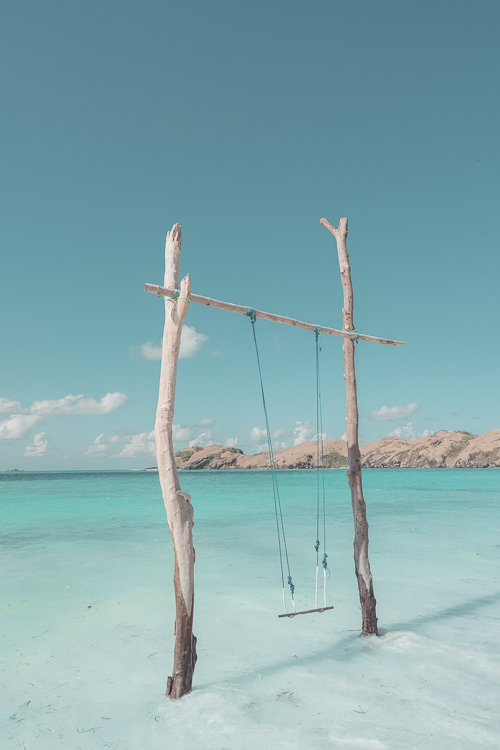 It consists of a 2 kilometer long white sand beach and turquoise sea, with swings of different colors and sizes from beginning to the end. Once you get there, choose one of the warungs to settle in. Most of them allow you to use the chairs offered free of charge, as long as you order food and drinks. I recommend the Turtle Warung, which has sun loungers, straw umbrella and pink decor; and the Warung Surfer Beach with its colorful bean bags and simple, but tasty food (try the grilled fish there). If you want a healthy snack, buy a miniature pineapple from a gentleman who walks all day on the beach carrying fruits in a bucket to sell to tourists - the price? 20,000 IDR, cheaper than the latest trendy coffee or snack at Starbucks. Still in Tanjung Aan, go up to Bukit Merese, a hilltop boasting a panoramic view of the surrounding area, with the idyllic Tanjung Aan on one side and Pantai Serenting on Pantai Seger on the other. Go during the day, to see the horizon line dividing the clear sky with the sparkling sea below; and before sunset, to see the orange tones slowly changing the scenery. Another beach in Kuta is Pantai Mawun, a perfect bay, with very fine sand, deep blue water and mountains on each side of the coast. To take advantage of the best of Mawun, choose to stay at the beginning or at the end (in these regions the sea has fewer waves and is quieter because of the mountains). The only problem is that in the end there is no structure of stalls, but there you can see the fishermen's boats anchored in the sand and have peace without getting grouped with all the visitors in one place. Bring water and a towel to sit on the sand. 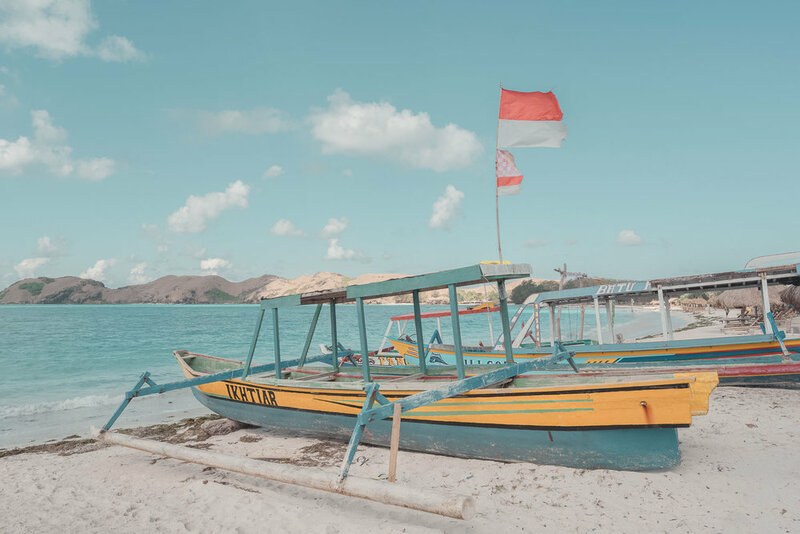 In addition to the few foreigners enjoying the day, the only company you will have on the shores of Kuta Lombok will be popsicle-selling bikers and insistent street vendors, mostly children selling bracelets and women selling sarongs. I've seen some people upset about their harassment - yes, they are stubborn and they do not take no for an answer - but you do not have to be rude to the local community (anywhere you are visiting). 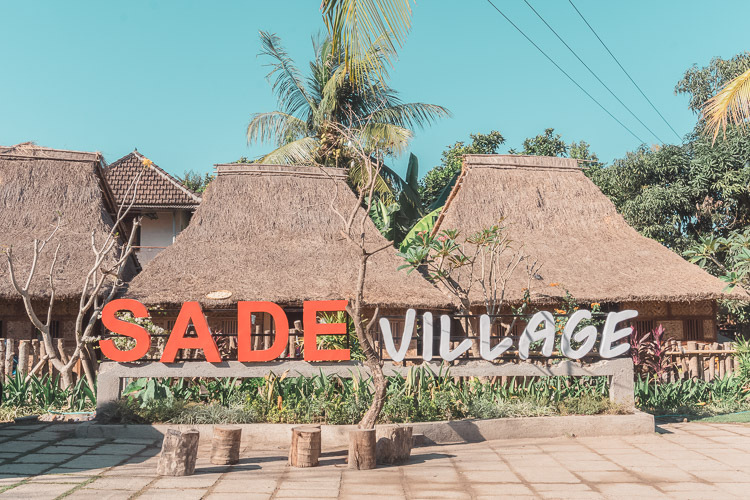 Visit Sasak Sade Village, a village that maintains the traditional culture of the Sasak tribe (original Lombok ethnic group). You can see their houses, which are built with walls of wood and bamboo, thatched roofs and ground made with dirt and cow dung. There you can buy souvenirs like necklaces and bracelets, and see women weaving and selling the traditional textiles of their group. Today they are mostly Muslim, but the culture encompasses traits of Buddhism and Hinduism. You can also visit the other beaches of Kuta Lombok, among them Selong Belanak, Semeti and Telawas. If you are up for it, you can take the road for about 2 hours until you reach the famous Pink Beach. The nearest airport to Kuta is Lombok International Airport (Praya), which receives international flights from Singapore and Malaysia. If you are already in Indonesia, the airport is accessed from Bali, Jakarta and other domestic destinations. If you are in Bali, there is also the option of taking a ferry at the port of Padang Bai in Karangasem for 50,000 IDR. The port is 56 kilometers away from Bali airport and the journey, which lasts around 5 hours, is operated 24 hours a day. If you have little time, there is also the alternative to catch a speedboat from Bali, with approximately 30 minutes, for about 500,000 IDR. After arriving in Lombok, either by the airport or the port, take a taxi or hire a driver to go straight to Kuta. Arriving there, the ideal is to rent some transport - daily motorcycle costs 70,000 to 150,000 IDR and car rental for the entire day from 500,000 to 700,000 IDR. The Novotel has a private beach and offers more structure for those going with the family. There it is also possible to book villas with a private swimming pool. Located close to the center of Kuta, but in a more secluded area than the Novotel. It is a quiet place with 2 swimming pools and is more suitable for those who do not have children, since it does not offer activities for them. In addition to the beaches' warungs, visit El Bazaar, a restaurant with Mediterranean vibes and Moroccan décor. There are also the Kenza Cafe and Milk Espresso, both for smoothie bowls, brunch and a coffee at the end of the day. To conclude, the situation in Lombok is more rustic than in Bali, and tourism has only recently been growing. So, carry a reusable straw and have the hotel refill your water bottle to carry it with you all the time and do not use even more plastic at the beaches - and, if you do use plastic, take it back with you. Let’s not let Lombok follow the same path as Bali, which is experiencing a serious waste management problem. I would love to hear if you are planning to visit Kuta Lombok, so leave me a message bellow.